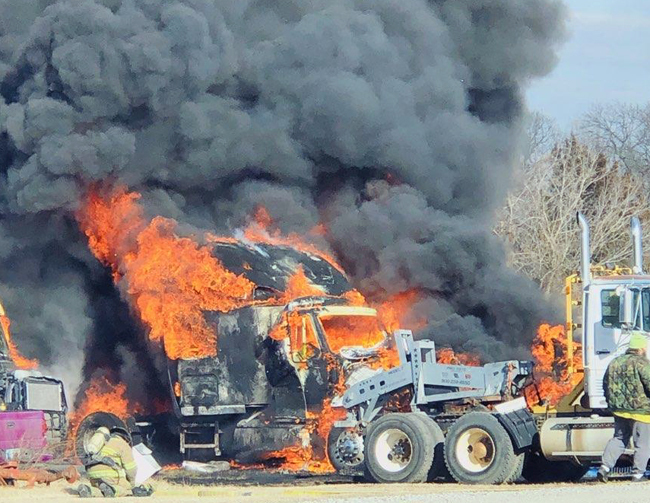 Two semi tractors were destroyed in a fire Tuesday afternoon west of Henryetta. The truck in the center of the frame was being worked on when sparks ignited the blaze. 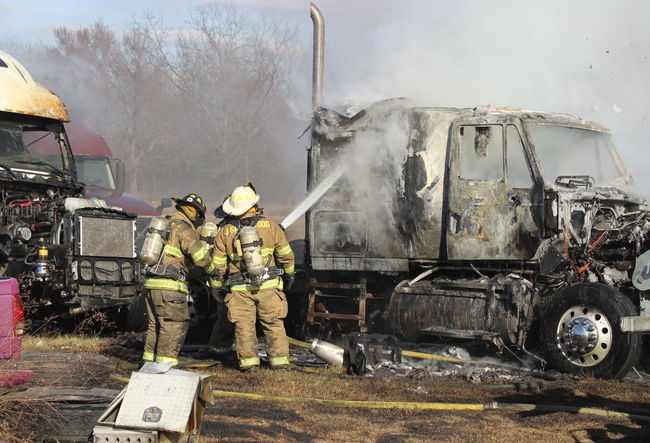 The heat from the burning truck caused a second tractor to catch on fire. 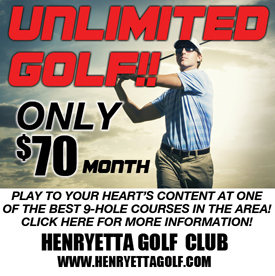 Henryetta firemen were able to save two other trucks parked nearby.